Who is Nicole Tuck – DJ Khaled’s Wife, Where is She From, What is Her Net Worth? Nicole Tuck is from a wealthy home of entrepreneurs and she has also established herself as a fashion house owner, educationist, businesswoman, artist manager. She is also a mother, wife and supervisory manager of the famed American music guru, DJ Khaled. For more juicy deets about her relationship with Khaled and the success she currently commands which leaves some women green with envy, read on for her place of origin, net worth and how her relationship with the world-popular DJ has been. Who is Nicole Tuck – Where Is She From? Nicole Tuck was born in the United States on December 7, 1975, into a well to do family. The details about her immediate family are, however, unavailable but one well-known fact is that she has a brother named Jonathan Tuck. The entrepreneur and mother of one have a blend of several cultural heritage such as Palestinian and African-American ancestry. However, she holds the nationality of America by virtue of her birth. She received her first degree from Marymount Manhattan College before proceeding to Fordham University where she got her second degree, Masters in Education in 2005. Born with a silver spoon and very industrious in nature, she ventured into fashion where she established her clothing line named ABU Apparel; the ABU is an acronym of Always Be You. The business thrived for a long period of time that she could bring her then-boyfriend, DJ Khaled on board to be one of the clothing line’s brand ambassadors. It is on record that Khaled had nothing then but they were lovebirds and very futuristic about their affairs. However, the success the business commanded was not sustained as she recorded quite some losses till the business was formally closed down and she became somewhat jobless. As luck would have it, her boyfriend started making progress in the music industry, it became paramount to have a manager, he requested she becomes his manager and she accepted the role. Since then, Nocle Tuck has been playing the role of Khaled’s manager and they have turned the music business into a successful one together while enjoying a bonding time as a family. Nicole and Khaled met in the 90s, they started dating and have been together ever since. With the relationship built on Love, they have been of help to each other on many different occasions. In 2013, Khaled shocked everyone when he publicly proposed to Nicki Minaj, the proposal raised eyebrows and generated a lot of questions as to what would become of Nicole. Nicki Minaj, however, cleared the air that Khaled didn’t mean the proposal and just wanted to pull a stunt towards his then album release. Their relationship (Nicole and Khaled) blossomed and they got engaged in a private ceremony where they reaffirmed their love for each other. When virtually everyone was expecting the wedding bell to sound, what really followed was the news of Nicole’s pregnancy with their son, they made the announcement through people magazine that their first child was underway. During Nicole’s pregnancy, they were spotted together at different events including that of the 2016 BET Awards held in Los Angeles in June of 2016. The couple welcomed their son on 23rd of October 2016; their parcel of joy was named Asaad Tuck Khaled and his birth was recorded live on Snapchat for the entire world. In 2018, Khaled bought a waterfront home in Miami worth $25.9 million. It is located in Mulholland Estates, a gated community in Los Angeles. The 5 feet 7 inches tall businesswoman was born with a silver spoon in a family of successful entrepreneurs. Her turnovers afforded her to pay for brand ambassadors of which her boo was part of. This was just before the clothing business was shut down from operations and she took up the mantle of DJ Khaled’s career management. Although her clothing business later crumbled, it earned her millions. Notwithstanding her involvement and commitment to different charities like Hope For Harvest, her net worth is presumed to be quite an impressive fortune. 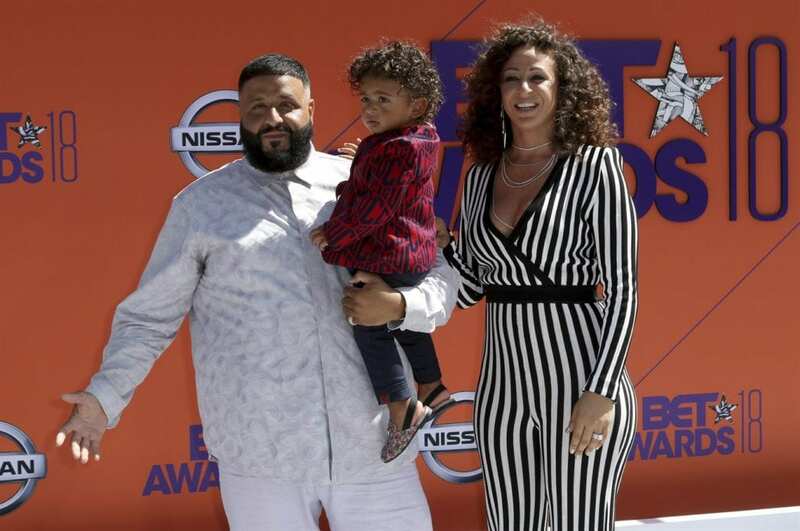 However, the actual figure is not known but judging by Khaled’s financial standing, the couple would be enjoying a whopping amount in net worth.